December 2016. 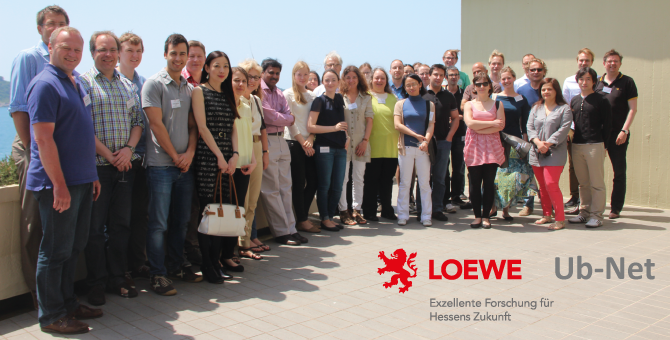 The Hessian Ministry for Science and Arts (HMWK) announced on 5 December 2016 that the LOEWE program Ub-Net will be extended for another year. The initiative led by IBC2 Director Ivan Dikic will receive 1.08 million € to continue deciphering the complexity of ubiquitin networks and analysing the underlying molecular mechanisms. The ultimate aim is to understand better the role of ubiquitin signalling in cellular homeostasis, in pathogen defence, in embryonic development as well as in ageing and pathophysiology of human diseases. Partners within the network are situated at the Goethe University Frankfurt, the Max Planck Institute in Bad Nauheim and the Georg Speyer House in Frankfurt. The network was initiated in 2014 and received 4.3 million € for the first three years of funding.